No worries. I’m not taking a break for the month of August. I already had enough of a blogging break during May and June. August Break is a photo-a-day prompt by Susannah Conway. The idea is that for the month of August, you skip the words and let a photo do all the talking. I liked the idea but skipping posting for a month didn’t sound like a great idea. So, I took the photos to Twitter instead. It’s been a nice change. For the last week, I’ve ignored the prompts but went on the look out for interesting details to document from my day. Things that I would ordinarily pass by with a smile, got a little more recognition. For daily updates, follow me on Twitter. 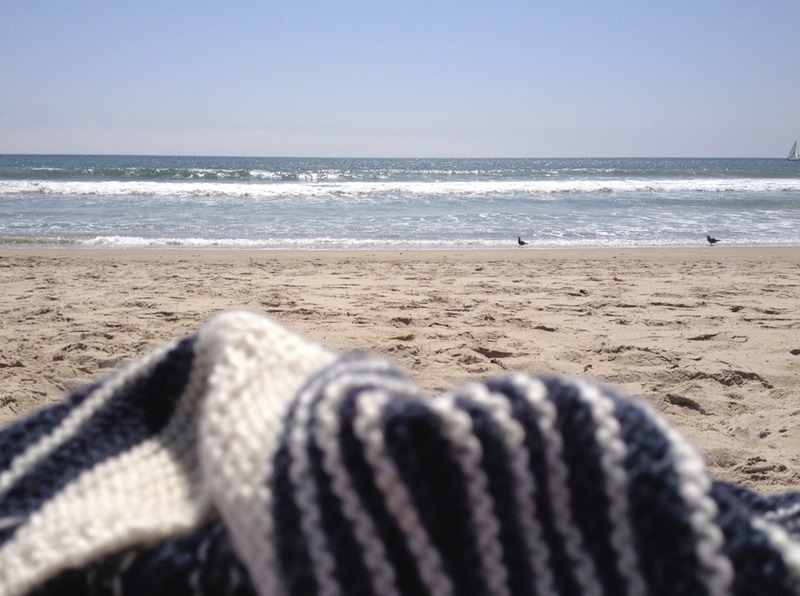 My favorite spot for summer knitting. Doing a different kind of spinning today. Sometimes, this is what designing knitting patterns looks like. Making tiny, adorable mini skeins! So far, reading subtitles while spinning singles has not been a bad idea. Another day, another walk on the beach. Found a beautiful shell at low tide. Taking a photo a day - especially, a photo I want to show off - is hard. There, I said it. I didn’t start out thinking this project would be a cake walk but I didn’t realize how difficult it would be. A few days into March, I started following the daily prompts from Fat Mum Slim. Some days were easy and some I’m still haven’t figured out. No surprise, I fell behind. I was determined to catch up on Friday so I grabbed my camera and headed outside. The original plan was to take photos to match each of the prompts. They weren’t any easier. Thankfully, I was in the right time and place for the 15th’s prompt - explore. I took it and ran. Those other prompts? What other prompts?